buckle design for stability and durability. 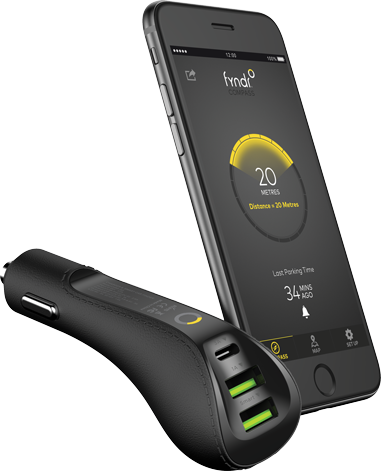 driven by the Fyndr app.  A charging solution for every device. 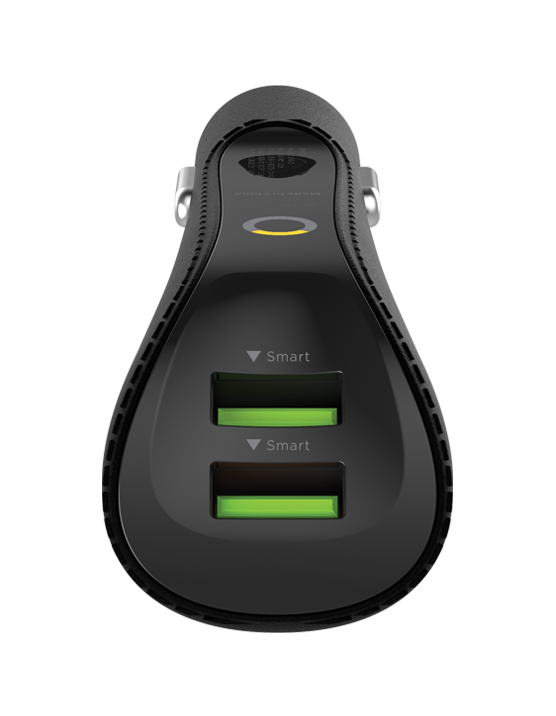 Featuring the latest in USB technology, Type- is a fully reversible plug with up to 3x more power than conventional USB-A charging. 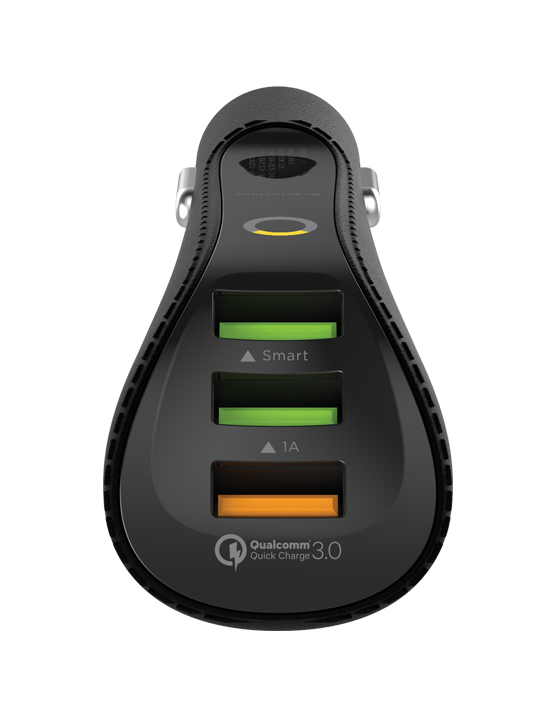 Featuring Qualcomm® Quick Charge™ 3.0 which delivers lightning-fast charging in compatible devices. 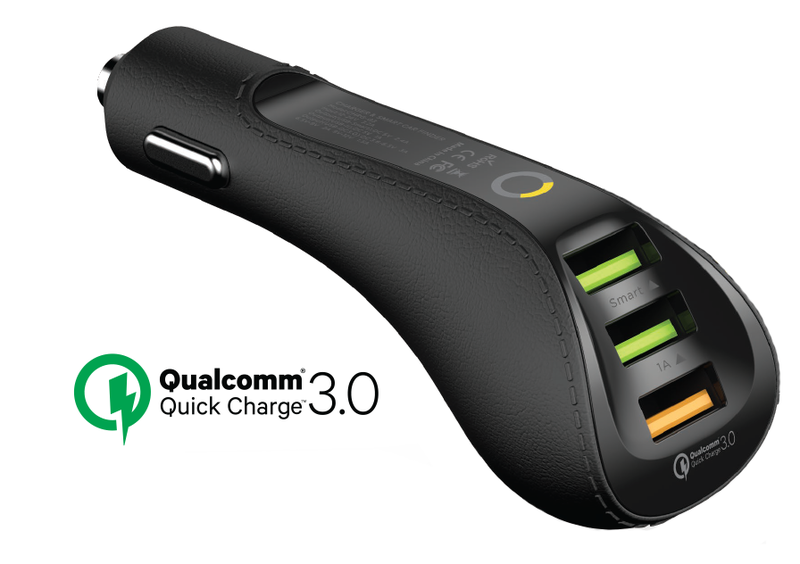 Up to 4x times faster than conventional chargers. 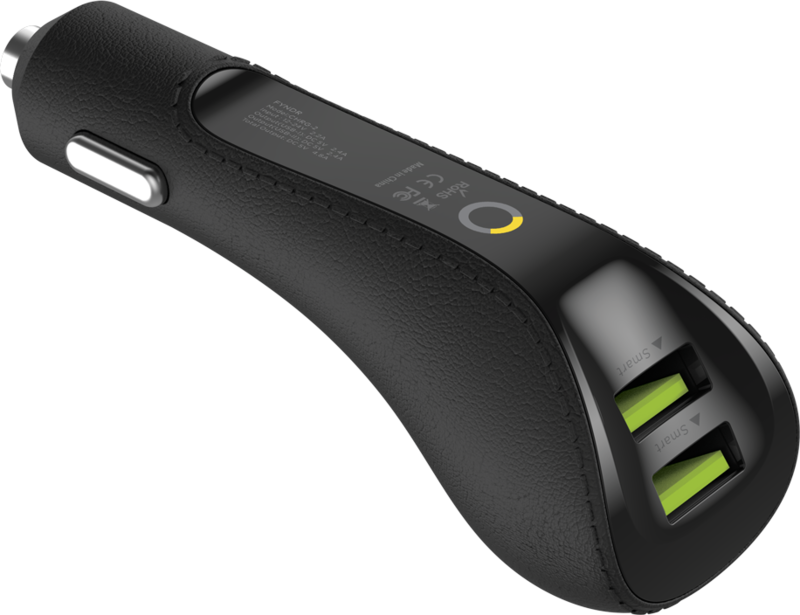 is perfect for charging multiple smart-devices whilst driving. 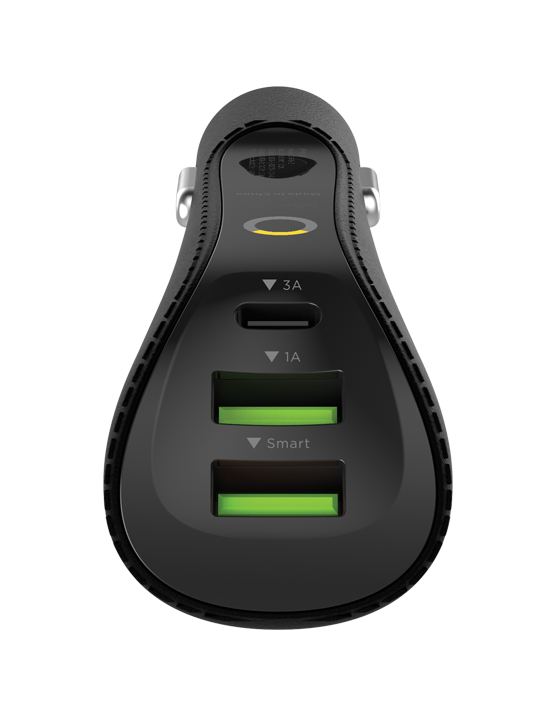 USB-CTM – The future of USB charging.  USB-C™ is quickly becoming the benchmark in phones, tablets, laptops, storage and other devices. 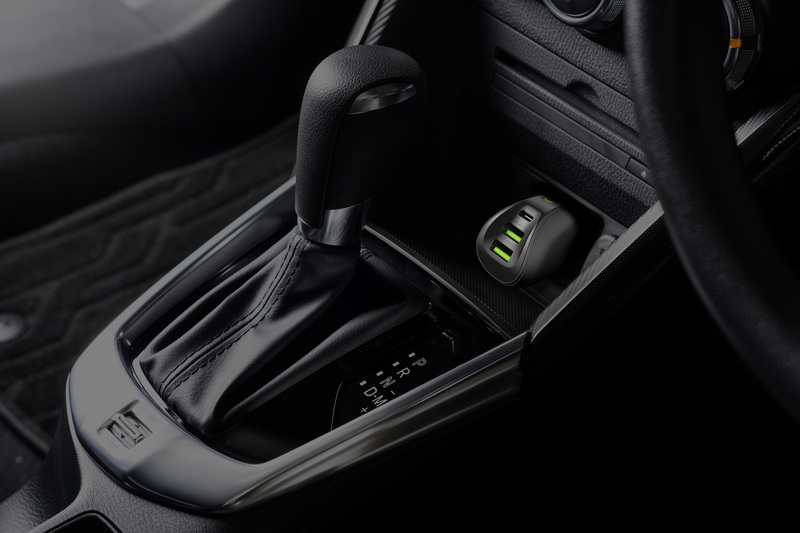 Measuring just 8.4 by 2.6mm, speeds of up to 10Gbps and power output up to 20V/5A with bi-directional charging, USB-C™ is the future of data and power transfer. 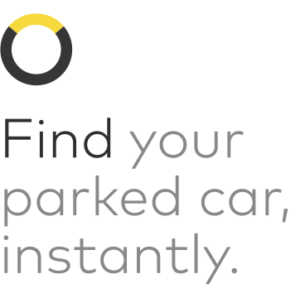 Fyndr automatically saves your parking location. 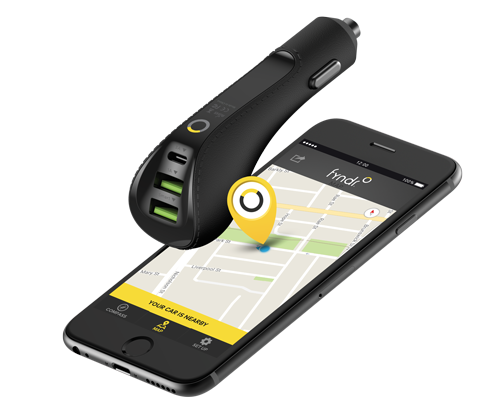 Simply open the Fyndr app to find your car with the Map or Compass. 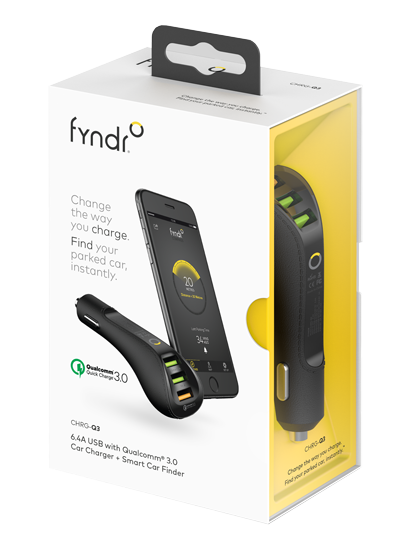 Fyndr helps you find your parked car using its proprietary App and integrated Bluetooth 4.0 technology, all while delivering super-fast 12v USB/USB Type-C or Qualcomm® Quick Charge™ 3.0.